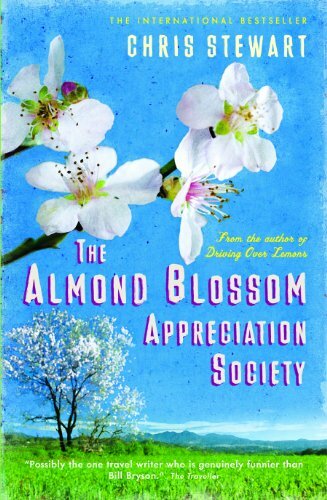 THE ALMOND BLOSSOM APPRECIATION SOCIETY finds Chris and his family still living o their farm, El Valero, and with its easy 'Sun-Lit' charm and funny, evocative anecdotes, it will draw in new and old readers alike. You will find yourself laughing out loud as Chris is instructed by his daughter on local teenage mores; bluffs his way in art history to millionaire Bostonians; is rescued off a snowy peak by the Guardia Civil; and joins an Almond Blossom Appreciation Society. In this sequel to 'Lemons' and 'Parrot', Chris Stewart's optimism and zest for life is as infectious as ever. Chris Stewart prepared for life on a mountain farm in Spain with jobs of doubtful relevance. After leaving Genesis (he drummed on the first album), he joined a circus, learnt how to shear sheep, crewed a yacht in Greece, went to China for the Rough Guides, gained a pilot's license in Los Angeles, and completed a course in French cooking. Despite the extraordinary success of his books, Chris, Ana and their daughter Chloe continue to live on their farm, with their numerous dogs, cats, chickens, sheep and misanthropic parrot.